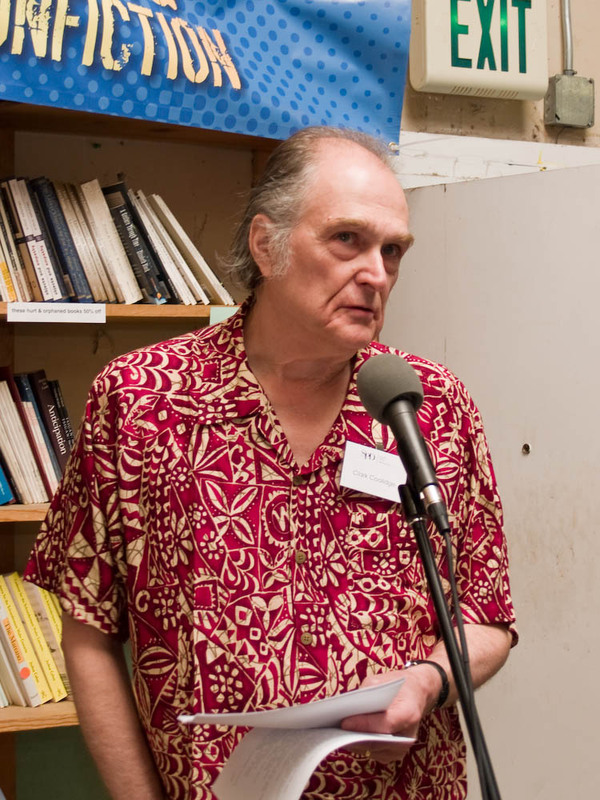 Clark Coolidge (February 26, 1939 – ) is an American poet born in Providence, Rhode Island. Often associated with the Language School, his experience as a Jazz drummer and interest in a wide array of subjects - including caves, geology, bebop, weather, Salvador Dalí, Jack Kerouac, and movies - often finds correspondence in his work. Coolidge grew up in Providence, Rhode Island and has lived, among other places, in Manhattan, Cambridge (MA), San Francisco, Rome (Italy), and the Berkshire Hills . He currently lives in Petaluma, California.